Spyder Snowmobile is Seeing RED! Here is a great project sled with a little of everything! 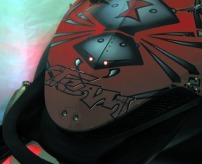 This sled has great custom graphics and Red Accent LEDs all around to make it a real head turner. The headlight has Brite Lites X-Bulb Xenon Gas brite Lites, and over 300 Red LEDs around and under the sled to really melt the snow!